We are America’s most convenient income tax preparation service based in the Columbia South Carolina area. We will come to your home or office and prepare your taxes right at your kitchen table. Now that’s how taxes should be done!!! This website provides tax related services only. You must visit www.miltoncooley.com to access our investment services and retirement planning. Thanks to the power of technology, we are able to serve clients nationwide all for one affordable price. Give us a call and we will be glad to help you solve your tax filing needs. You will be glad you did!!! Click here to see how it all works and to get started. 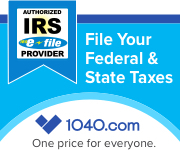 If you are the do-it-yourself type you may wish to try our online filing option by clicking on the Blue 1040.com Online Filing button near the top of each page. You will be able to prepare and e-file your own return. Our client newsletter is now available to web customers. To get your free copy of this powerful tax resource simply click the link to the right of the page that says “Current Tax Tips Newsletter” to download a PDF copy of Tax Tips free of charge. For up to date financial information on a wide range of investment services, including retirement planning, guaranteed lifetime income, rollovers, IRA’s, 401(k)’s, pension plans, investment asset allocations, life insurance and much more, please visit my Financial Advisor website at www.miltoncooley.com. If you arrived here looking for information on the security breach at the South Carolina Department of Revenue visit our ProtectMyID resource page to access our growing list of resources and recommended actions for clients. Also, please check out Our BLOG for up to the minute information about your taxes. For your benefit we will feature timely videos of popular topics on the front page of this website. Please take a few seconds to review our featured video. It promises to provide useful tax information that just may show you something you didn’t already know.